As your organization adapts and adjusts to meet the demands of a changing and increasingly competitive marketplace, how do you know your employees consistently meet the high standards your business requires? With The Examiner™ System you can fairly assess and reinforce the knowledge, skills, and attitudes critical to your organization's success. What's more, you gain a systematic process to help evaluate and improve your training programs. With The Examiner System you can easily create valid and reliable paper-and-pencil or computer-based evaluations to support any training plan. Regardless of your level of expertise in test development, you have the capability to generate quality assessments, including formal certification exams. And with The Examiner System, it doesn't matter where your trainees are located. The software lets you electronically deliver your test to remote locations-while safeguarding the integrity of your testing process- and automatically score and report test results within minutes! 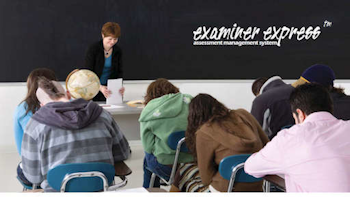 There are several things about the Examiner that we enjoy and one of the pluses of the program is ability to establish exam item banks. We are required by the Environmental Protection Agency to create several new examinations each year and having the ability to create several exam item banks makes it easier to generate new exams quickly. The Examiner Corporation provides wonderful service. After purchasing the program Mr. Brown came to Missouri and trained our staff on how to use the program. Anytime we have a problem, The Examiner is quick in returning our calls or email and they help us correct the problem or they correct the problem for us. The Examiner Corporation is proud to announce Examiner Express, the most affordable scanning, scoring, and record-keeping system we've ever offered! The demands made on teachers by No-Child-Left-Behind, state assessment mandates, and the day-to-day hassles of testing are within the reach of every school or district. 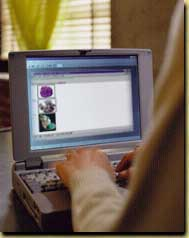 Click here to go to our dedicated Examiner Express site! Copyright © 2014 The Examiner Corporation. All Rights Reserved.